Buy the album from iTunes or get your copy from CD Baby today! Following on the heels of the success from our first album, Voices For Peace, the Voices For organization is proud to announce the release of their follow up album, Voices For Tolerance. Voices For Tolerance is intended to promote acceptance and diversity through out the anime community and the world at large. PLUS! A new original song, Could Be An Angel, by Vic Mignogna (Full Metal Alchemist, DNAngel). Proceeds from the album will go to the Southern Poverty Law Center and ActionAid International USA. Voices For, a non-profit organization, is a collaborative effort founded by Jan Scott-Frazier in the hopes of bringing attention and support to vital and socially-responsible organizations around the globe. Through organizing the efforts of artists, performers and other members of the anime industry, Voices For will serve the needs of local as well as international efforts towards peace, health, tolerance and recovery. 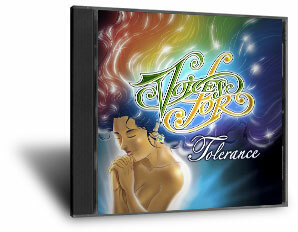 Voices For Tolerance is available for sale NOW for download from iTunes and CD Baby. 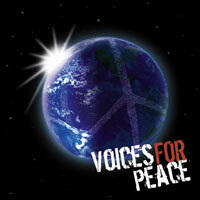 Voices For Peace, our FIRST album! Buy it on CD Baby here. Convention tour dates will be coming soon. Check back for more info on where Voices For will be showing up in the near future. ©2008 Voices For. All rights reserved.